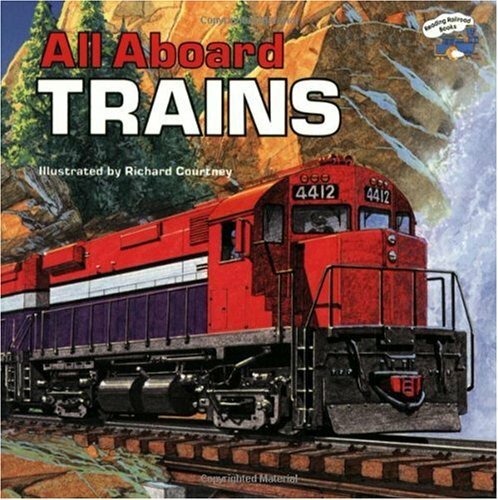 Once again, a winner for the 3 & a half year old train addict.This is his favorite train book and he knows all about all of the illustrated vehicles.He generalizes information from books to DVDs to calendar.We have lots of train stuff and this remains a favorite.Book has stimulated good discussions about various types of trains and why he likes them. I bought this book for my brother as a Christmas present. I learned a bit from reading the book. My toddler boy is nuts about trains and he likes this book pretty well, although he can't quite understand everything it says.The illustrations are rather good and the information generally is very useful.We'd buy it again. We ordered this book as recommended with a "Thomas The Train" DVD. It is a little advanced for my 2 year old grandaughter, but she loves the pictures and story, and as she gets older will read it, I'm sure. It is good to see real trains added to the Thomas models. We have an active track 50 yards from our house. She loves them. Really cute book for a good price! One of America's greatest railroads, serving the Midwest and the South for more than 150 years before being acquired by Canadian National in 1999, the Illinois Central ran some of the nation's most famous passenger trains (most notably the City of New Orleans), as well as a freight service renowned for its quality. This comprehensive and beautifully illustrated history of the "Main Line of Mid-America"-the railroad that brought us engineer Luther "Casey" Jones-looks at Illinois Central's motive power and rolling stock, its good old reliable passenger service and crack freight operations, and its most interesting routes. Drawing on archival records and interviews with former employees, and illustrated with photographs from collections around the country, this volume brings to vibrant life a rich chapter of American railroad history. 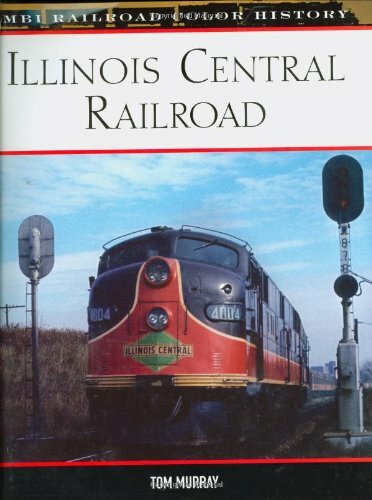 Being the grandson of a former superintendant of the Illinois Central Railroad, this book brought back some great memories and solidified some of the stories my grandfather had told me growing up about the IC. Great pitures too! If you are a rail fan, I strongly recommend this book! A tribute to a great road still running to this day via the Canadian National. The Illinois Central was another of America's premeir railroads that helped to develop the contry and which now is no more. From its start in 1838 (with 24 miles of track) it grew to over 6,500 miles. Alas, in 1999 it passed into the hands of the Canadial National. 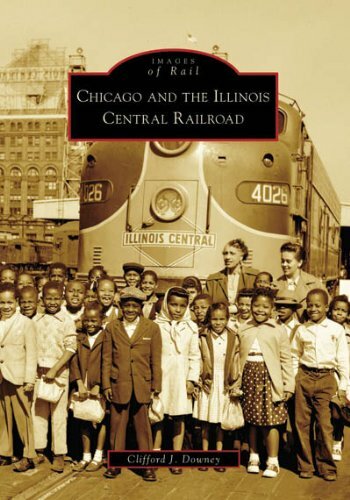 This is a colorful history of the Illinois Central from its early day through its acquisition. It is profusely illustrated,with a lot of color pictures. The text that accompanies the pictures gives an accurate telling of the story of the line and its operation down through the years. The IC grew by acquiring other lines as well as by expanding its own tract into new areas. It remained, however a north-wouth line with its solid anchors in Chicago and New Orleans. It grew west to meet with the Union Pacific in Omaha. It grew to the south east, eventually connecting to Birmingham and eventually Miami. Over the course of the first half of the nineteenth century, America would find itself following two increasingly divergent tracks: an industrialized North and an agricultural South. By 1860 railroads were firmly entrenched in our culture, reshaping our cities and steering us through the industrial age towards worldwide prominence. From sleepy post towns to the largest east coast cities, the distant hooting of the locomotive whistle drew ever closer and louder, filling listeners with fascination while brightening the eyes of profit-driven industrialists. But this admirable invention, lavishly adorned in brass and iron trimmings, was about to take on a new and deadly role. America’s regional differences would result in a spectacular collision over slavery, and between 1861–1865, the nation fought a savage war. The “iron horse” became a major weapon in the first war fully dependent on railroads. Moreover railroads would escalate and prolong the war, leading to its terrible carnage. Trains were used to move troops rapidly and over great distances, completely changing military strategy. Trains were also used as mobile artillery, armed with large-caliber cannons that could pound cities and fortifications. Trains were a crucial means for supplying the armies on both sides, and it was the severing of the railway lines providing food and munitions to the Army of Northern Virginia that led to Robert E. Lee’s surrender at Appomattox Court House. 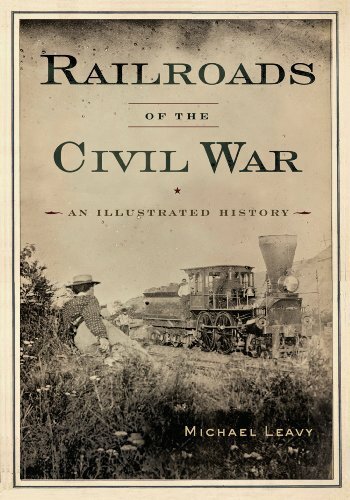 In Railroads of the Civil War: An Illustrated History, Michael Leavy uses compelling period photographs and drawings and a rich narrative to reevaluate and illuminate the role of railroads in the Civil War. In addition to identifying details about the various trains and ancillary equipment and buildings in the illustrations, the author explains how trains influenced the outcome of battles and the war in general. 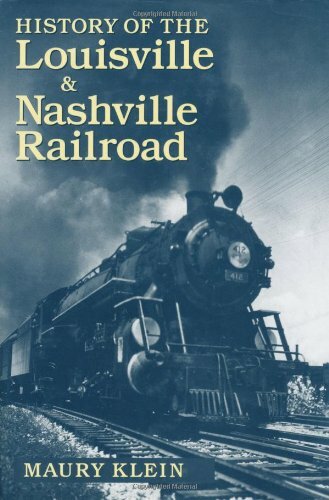 After the Civil War, the Louisville & Nashville Railroad took the lead among southern railroads in developing rail systems and organizing transcontinental travel. Through two world wars, federal government control, internal crises, external dissension, the Depression, and the great Ohio River flood of 1937, the L&N Railroad remained one of the country’s most efficient lines. It is a southern institution and a railroad buff’s dream. The Pennsylvania Railroad’s slogan was “Standard Railroad of the World.” Often referred to as the Pennsy, the railroad was an early advocate of standardization, especially with motive power. This book highlights the steam, diesel and electric locomotives. Known for a “dog’s breakfast” of locomotives, Pennsy experimented with different types of locomotives until the found the right design. Highlighted are various classes of steam locomotives like the K4 4-6-2, S1 6-4-4-6 Duplex and T1 4-4-4-4 Duplex, diesel's like Alco RS models, Baldwin end-cab switchers, Fairbanks-Morse Train Master, Electromotive GP series, F-units and E-units, along with the legendary bi-directional, center-cab GG1 electric locomotive. System map, timetables, advertising and locomotive designs by Raymond Lowey, industrial designer for the Pennsylvania Railroad, are also featured from this previously unpublished collection of archival photos. While this book had very good photo examples of most prominant Pennsy locomotives, there were still some important engines missing. I also expected to see more information on rosters, unit numbering, locations where used, and paint schemes as they evolved over time. The author had several very good references but relied too heavily on the few that were used and could have expanded his/her search to obtain more information. The cover illustrates the best color picture of the entire book. All in all, the book does cover some of the most prominant engines that the Pennsy had albiet superficially compared to other books I have purchased in similar price range. Backround information on each loco is limited and devoid of scaled drawings showing any dimensiions so modelers will want to refer to other sources for dimensions and paint scheme accuracy. American railroads were, and continue to be, an integral part of the establishing this country as a prosperous nation and an essential means of transportation and commerce. 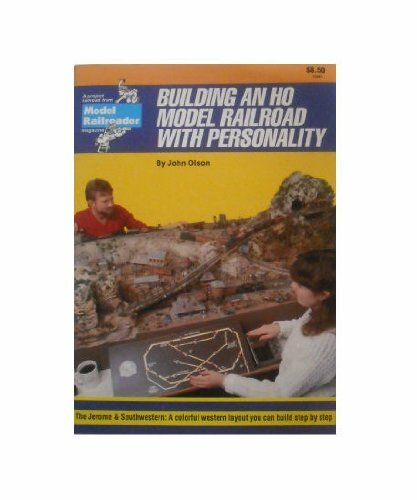 They are also an enduringly popular field of study for railroading enthusiasts. 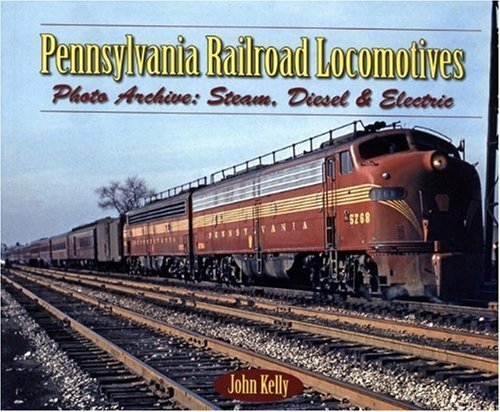 "Pennsylvania Railroad Locomotives: Photo Archive - Steam, Diesel & Electric" by railroading enthusiast John Kelly is a superbly compiled and presented collection of the locomotives that worked the Pennsylvania Railroad and includes experimental engines, the various classes and categories of steam locomotives, diesel powered engines, and electric locomotives. Enhanced with previous unpublished archival photos, a system map, timetables, advertising, and locomotive designs by Raymond Loewy, "Pennsylvania Railroad Locomotives: Photo Archive - Steam, Diesel & Electric" is a welcome and enthusiastically recommended addition to personal, academic, and community library American Railroading History reference collections and supplemental reading lists. Famous for its role in the Transcontinental Railroad, Union Pacific is Americas oldest- and the worlds largest- railway, serving two-thirds of the United States for a century and a half.This retrospective spans the UPs entire history from 1862 to present, detailing key personalities, depots and terminals, locomotives, trains, rolling stock, and memoriabilia.Modern and period color photography, along with archival photos, make this an ideal reference for UP enthusiasts and modelers alike.Some of Brian Solomons MBI train titles include American Steam Locomotive and the American Diesel Locomotive, and this seasons Super Steam Locomotives.He lives in Munson, Massachusetts. At one point in time, no place in Iowa was more than a few miles from an active line of rail track. In this splendid companion volume to Steel Trails of Hawkeyeland (IUP, 2005), H. Roger Grant and Don L. Hofsommer explore the pivotal role that railroads played in the urban development of the state as well as the symbiotic relationship Iowa and its rails shared. With more than 400 black-and-white photographs, a solid inventory of depots and locations, and new information that is sure to impress even the most well-versed railfan, this detailed history of the state's railroads -- including the Chicago & North Western, Cedar Rapids & Iowa City, and the Iowa Northern -- will be an essential reference for railroad fans and historians, artists, and model railroad builders. 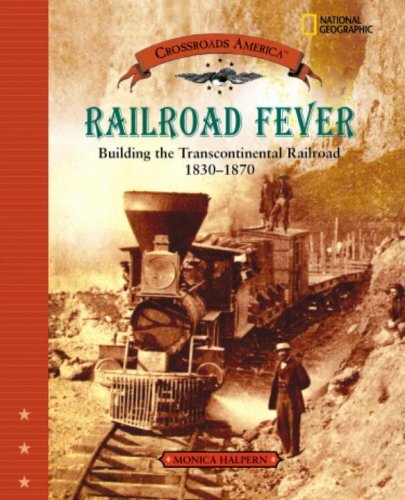 Excellent book.Great for the railroad enthusist as well casual railroad fan.Makes a great gift for either on your list. 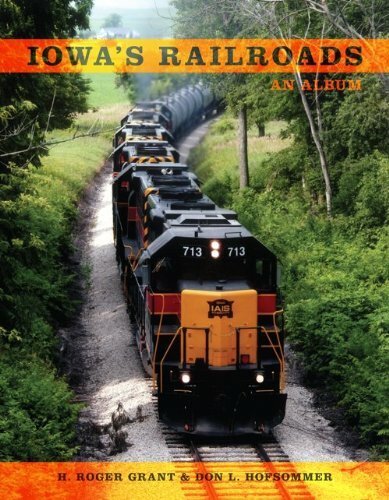 If you like railroads of the Hawkeye State you'll probably be fascinated with this book. The authors certainly don't need an introduction, both being familiar with anyone who follows granger rails. Their work is a photographic study of the subject, spanning 298 pages and containing hundreds of shots spanning Iowa railroads from the late 1800s through the first decade of the 21st century. The book is broken into seven chapters, each dealing with a specific area, including steam power, depots, electric roads, traffic, people and the diesel era. Each chapter has about four pages of intro to set the stage and then pages and pages of fascinating photographs with well-written and highly descriptive captions. Just about every road you can think about that touched Iowa is contained somewhere in this book; from the big Class 1's like the Burlington, Milwaukee Road, CNW and Rock Island to shortlines, interurbans and terminal outfits. With the exception of the dust cover, all shots are in black & white; but don't let that scare you away as the subject matter and wide variety of content make up for any lack of color. Photographers used include familiar names like Lou Marre, Bill Kratville and Bill Middleton, among many others. While some of these pictures have appeared over the last 50 or so years in magazines like "Trains", I suspect the vast majority will be new to most readers. Two large railroad maps from the state government are provided; one showing tracks circa 2008 and another showing abandonments by period. There are also Official Guide-style maps for several specific railroads provided. The only thing I would have like to have seen included was an index, which would have been useful to locate pictures of specific locations. That being said, this work should be welcome in the library of any railfan who follows the railroads of Iowa. Few railroading scenes are as enduring as those that depict a train traversing river or roadway, creek or cayon, atop a sturdy structure specially engineered for the situation. In this marvelously illustrated work sure to appeal to modelers and railfans alike, prolific rail historian Brian Solomon presents the only completely illustrated book to tackle the development and evolution of North American railroad bridges. Inside, Solomon examines major types of construction-including trusses, trestles, viaducts (both stone arches and steel construction), suspension bridges, and movable spans-as well as many of the men responsible for pioneering them. In addition to explaining in layperson's terms the principles behind each type of construction and why they are used in given situations, Solomon offers histories detailing the origins, construction, and use of iconic structures such as Hell Gate, Starrucca Viaduct, and Suisun Bay Bridge, amoung others, as well as lesser known but nonetheless important and interesting spans. North American Railroad Bridges is illustrated throughout with landmark patent drawings, period postcards, specially commissioned diagrams, and modern color photography from some of today's top rail photographers, capturing railroads large and small hauling traffic across bridges throughout the United States and Canada. Railroad Bridges form a big part of the appeal of railroads to many fans. From the old style trestles of the western railroads, to the stone viaducts in the East, the bridge has been a critical component of railroad engineering since the beginning of the railroads. Looking at a railroad bridge, you might wonder why that particular style of bridge was used. One of my favorite bridges is the Ex-Southern Railroad bridge currently used by the Norfolk Southern over the Savannah River in Augusta, Georgia. It appeals to me because of the construction techniques and also as a relic of old-time engineering. Looking to learn more about railroad bridges in general, I had the chance to read North American Railroad Bridges by Brian Solomon. This great book gives the reader the chance to learn about the variety of bridges that have been used over the past 150+ years in one concise volume. Drawing on his vast collection of pictures, plus a wealth of other resources, Solomon provides a great overview to the reader without burying him in technical details. Modelers will find the book a great resource as they determine which bridges would be correct for their layout. They will also find detailed drawings and pictures of bridge construction to help them build a "prototypical" model. A good begining on the subject. A good overall discrption of the art of railroad bridge design. If the reader has a background in civil engineering this is not the book for you. For lay folks it is a good begining. I found Solomon's All About Railroad Signaling to have much greater depth bout the sugect at hand. Not the best Solomon effort. 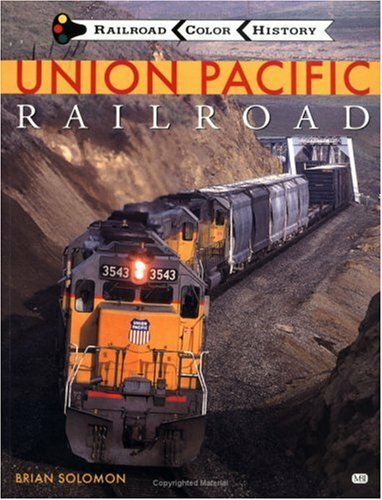 In general Solomon books provide information on specific subjects of railroad information. His books are good background material in the area of Signals, Bridges, Maitainence of way equipement and others. A good overview of the many different types of bridge construction. As Soloman states in his intro, this is not a definitive encyclopedia of bridge engineering, but an easily read and understood explanation of the many different types of construction. A good deal of effort has been made to provide photographs (and other images) of the bridges being described--this is one the highlights of this book. My only complaint is that the Rockville Bridge and Lackawanna Viaduct do not have better images of them; but I have my own great photos of them. You could also build model bridges for your scale railroad from the info here. Overall, a good book with lots of good illustrations that is enjoyable to read. Being sofa bound for a week this was a sanity saver. It inevitably is not an in depth history of each railroad but as a large collection of colour images of American railroading with good background information its a steal. The box set even more so compared with buying the individual books. Whether you are a slight fan or an avid fan of trains and railroads, you don't want to miss this book! It is very well written and the pictures are great! Bob Withers is one of the best writers ever. They may not be the biggest or the best known, but regional carriers are the heart of the American rail system—and of the Midwest, whose people and places, industry and goods, they connect in one vast network. These regional railroads of the heartland, with their special operations and oftentimes unique equipment, are celebrated here in all their local color, historic power, and splendid detail. Highly respected rail writer and photographer Steve Glischinksi draws on his own knowledge and archive, as well as on the photography of several colleagues, to offer an authoritative, lavishly illustrated account of the histories, motive power, and operations of twelve of the Midwest’s most vital current carriers, including a system map of every road covered. 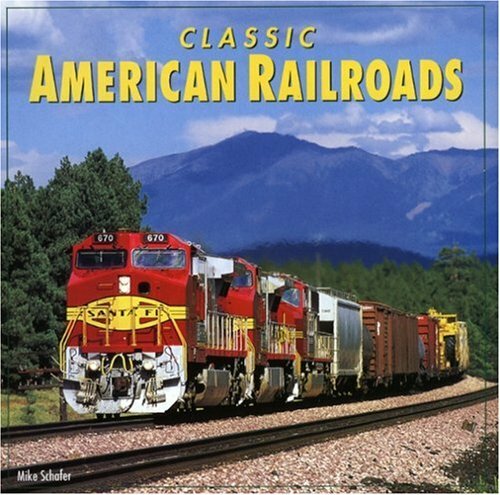 Featured railroads include the Chicago Central & Pacific; Dakota, Minnesota & Eastern; Escanaba & Lake Superior; Iowa Interstate Railroad; Iowa, Chicago & Eastern; Indiana Rail Road; Kyle Railroad; Red River Valley & Western; Twin Cities & Western; Toledo, Peoria & Western; Wisconsin Central; and Wisconsin & Southern. 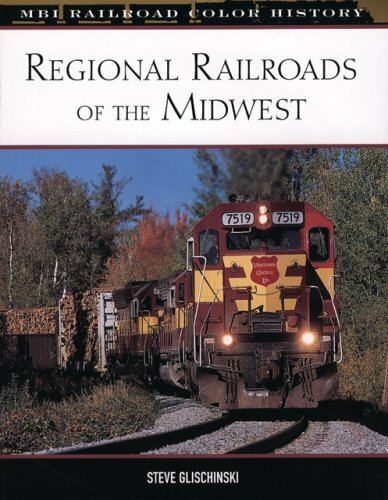 "Regional Railroads of the Midwest" is a very intriguing title. The volume covers twelve, as the title says, regional railroads in the Midwest. Alphabetically they are: Chicago, Central & Pacific; Dakota, Minnesota & Eastern; Escanaba & Lake Superior; Indiana Rail Road; Iowa, Chicago & Eastern; Iowa Interstate; Kyle Railroad; Red River Valley & Western; Twin Cities & Western; Wisconsin Central; and Wisconsin & Southern. Each railroad is covered in about a dozen pages with current and historical photos, a color map, and text outlining the road's history and operations. This book is very welcomed in that it puts in hardcover print a number of railroads that had not previously been covered other than by a Trains or Railfan & Railroad article. Kudos for that. On the downside, there are also railroads represented that are already overexposed in the railfan press, namely the Indiana Rail Road and Wisconsin Central. In their absence it would be nice to see more under-represented railroads presented. This is one of the better produced titles from MBI in recent years. The number of historical photos presented is low and the subjects seem relevant; the use of steam excursion photos was also, thankfully, kept to a minimum. What photos are presented are reproduced very well, better than many other books from the same publisher. Overall, this is a very good release for the modern Midwest railfan. This book provides a concise history of selected "regional" railroads from Indiana through North Dakota ("regional" railroads are too big to be called "short lines", but vary greatly in size). The author provides the start-up story of each railroad in adequate detail that includes a brief history of the lines acquired, their purchase cost and existing traffic. He then provides a brief narrative of how that railroad increased its traffic base, made additional line acquisitions (or abandoned others), and discusses its motive power (locomotives). Nice maps are provided (with one exception) and the reader has a great reference volume that combines good photography with informative text. Given the great maps, it was surprising to find no map for the Red River Valley & Western, a road with a somewhat confusing line acquisition history that was hard to follow without a map. Sometimes the history of line acquisitions appeared sketchy, and little information is given on actual train movements - no doubt due to space constraints (the debatable inclusion of the rather large, and now gone, Wisconsin Central no doubt squeezed the space available). And although each road's locomotives were discussed, summary rosters would have increased this book's utility. But, this is a great book and a great value! Having criticised a recent volume in the series, it's only fair that I should compliment Glischinski and the publisher on this offering. It contains a mass of fascinating information that will probably be new even to many Americans, let alone those of us who live thousands of miles away. As well as the details of the individual railroads, it encapsulates an important trend in the development of the industry. Production values are as good as we have come to expect, though it would have been useful if the individual company maps had been accompanied by a broader map putting the systems into a geographical context. 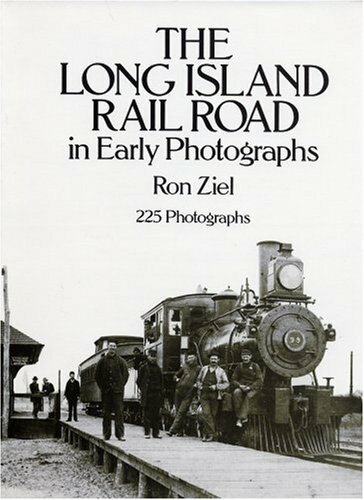 Fascinating text-and-photo documentary details economic, social upheaval following inauguration of Long Island Rail Road’s service in 1844. 225 rare photos provide splendid views of early coaches, locomotives, snow-removal operations, stations, passengers, crew, much more. Extensive captions. In keeping with the high standards of the illustrated pictorials from Dover, the LIRR in Early Photographs does not disappoint. This illustrated history covers 90 years of operations of the railroad, from 1865 to 1955. It's all here - early steam, 20th century steam, electrics, deisels, nautical operations, snowfighting, structures and wrecks. Plus a whole lot more. Lots of very interesting photos, many of them never seen before depict the colorful history of the LIRR before the MTA took over. 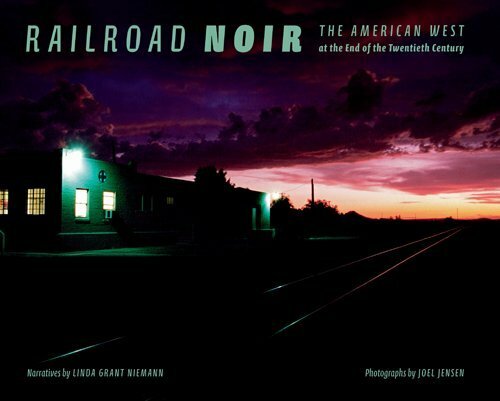 Culled from the 20 years she spent traveling the American West as a freight brakeman and conductor, Linda Grant Niemann's Railroad Noir delves into the darker side of railroading. The 1990s were a time of crisis for workers caught in the breakup of the Southern Pacific Railroad. Niemann's tales of exhaustion, alcoholism, homelessness, and corporate blundering present a revelatory account of railroading life. Photographer Joel Jensen realizes Niemann's vision of the working West with images of cowboy bars, blue motels, and railroaders working in electrical storms, white-outs, and desert heat waves. The result is an honest, gritty, and striking collaboration. Dr. Linda Niemann (who earned a Ph.D. at Berkley before "hiring out" on the Southern Pacific railroad) continues her memoirs of being a highly intellectual, bi-sexual woman working in in a male-dominated profession.By this time, Neimann is an "old head" - an experienced raliroader - and we ride along as she grows wiser and the railroading landscape changes beneath her.After spending two years as an assistant conductor on Amtrak trains (which provide some good stories), Neimann returns to the "Espee" in time for its takeover by the Union Pacific.Suddenly it's open season on labor, with a UP-imposed disciplinary system so draconian that employees are afraid to do anything, lest they be on the fast track to dismissal.Traffic grinds to a halt, managers with any knowledge are fired, and Neimann has the most American of experiences: having "the company" all but take away your pride, accomplishment, and sense of professionalism. After having to run the disciplinary gauntlet herself,Dr. Niemann uses her "other Union card" - her Ph.D., to land a teaching job in Georgia, trading her switchman's boots for students who cut class if it's raining outside - a bit annoying to someone who has been on-call, 24 hours a day, in any weather, for nearly 20 years. I was pleased to read that Niemann's house backs up on the CSX main line and that she can now sleep through the night as freight trains barrel past. Noted railroad photographer Joel Jensen supplies beautiful images that are the perfect accompaniment to Niemann's haunting, funny, brutally honest prose. I hope Dr. Niemann continues to share her experiences with us in her post-railroad life. Linda Niemann takes the reader on a sweeping journey of the demanding and exhilarating life working on the railroad.Terrific prose portrays fascinating real-life characters, insightful political realities and the author's deep love of the West. The strikingly evocative photographs make this not only a great read, but a book worth prominently displaying on the coffee-table. From humble beginnings in the 1800s, the Pennsylvania Railroad grew to be one of the most powerful, influential railroads in American history--a railroad that Fortune Magazine called “a nation unto itself.” It owned its own shops, coal mines, hotels, communications system, and power plants, not to mention hundreds of depots (including the famous Penn Station in Manhattan), thousands of passenger cars, tens of thousands of freight cars, and a vast fleet of steam, electric, and diesel locomotives. The Pennsy’s 10,000 route-miles served thirteen of the most populous and most industrialized states in the United States. Pennsylvania Railroad examines the mighty railroad’s evolution from a disparate group of early horse car lines into a twentieth-century transportation giant. Color and black-and-white photographs and period ads illustrate the railroad’s many facets, including both its passenger and freight operations, as well its motive power through the decades. Though the Pennsy was merged out of existence in 1968, an epilogue details the PRR legacies that survive on today’s modern railroad scene. Mike Schafer has done a masterful job in chronicling the history of the Pennsylvania Railroad from its beginnings to the Conrail Era. 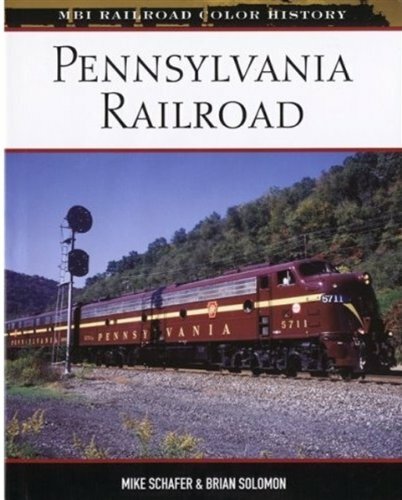 He does an excellent job in covering the aspects of the various companies that were merged into the Pennsylvania Railroad as it acquired them while building its system which truly was SERVING THE NATION right up to its final years. 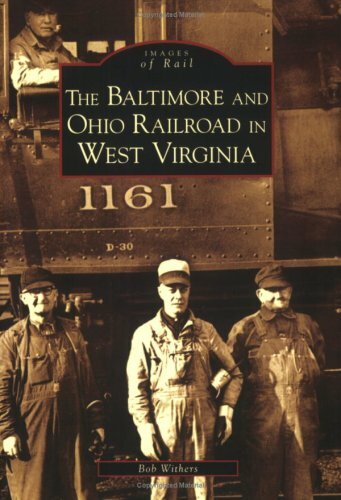 My great grandfather, David Webner, took the PRR from Harrisburg to Pittsburgh in 1852.With this book, I was able to travel alongside him throughout the trip.The book provides fascinating detail of the early route.Readers will also enjoy "On the Main Line" by Edwin P. Alexander. This is a very fine, concise introduction to the "standard railroad of the world. "For a readable, yet remarkably thorough introduction to the Pennsy, this is the book to read. Excellent book, great resource for the train lover.Lots and lots of high-quality photos, good text.Highly recommend. I purchased this book as a gift to myself and it is super. Pictures are very nice and the reading is easy to deal with. Even my 5 year old loves it. 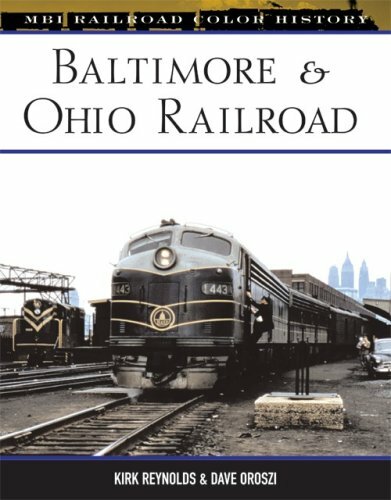 I am thinking about modeling the B&O and this book provides great photos and a history of the railroad which is truly inspiring.I would recommend this to anyone interested in the B&O. Very informative review of the B&O when it was a force to be reckoned with. Baltimore and Ohio Railroad Color History describes the rich history of the Baltimore and Ohio Railroad from 1827 to 1987 when it merged into CSX Corporation. The book has excellent black and white and color photographs of Baltimore and Ohio passenger trains like the National Limited and Capitol Limited and freight trains. I like the color photos of the National Limited (Cover and page 43) at Jersey City with a pair of Baltimore and Ohio E8 diesels on the front of the National Limited in April 1958. I also like the color photo of the National Limited at St. Louis Union Station sharing the platform with Gulf Mobile and Ohio's Abraham Lincoln in November 1964 on Page 99. This is an excellent book. Originally published by UNC Press in 1952, The Railroads of the Confederacy tells the story of the first use of railroads on a major scale in a major war. Robert Black presents a complex and fascinating tale, with the railroads of the American South playing the part of tragic hero in the Civil War: at first vigorous though immature; then overloaded, driven unmercifully, starved for iron; and eventually worn out—struggling on to inevitable destruction in the wake of Sherman's army, carrying the Confederacy down with them. If you are a Civil War buff, and especially a Civil War buff who is interested in how the transport net in the Confederacy was allowed to slowly deteriorate, then this book is for you. It is a classic -- I first encountered it at a college where I was was transcribing Civil War diaries. It tells the story of the gradual deterioration of the southern railway network, and does it well. A MAJOR INOVATION IN THE CIVIL WAR WAS THE STRATEGIC USE OF RAILROADS ON BOTH SIDES. 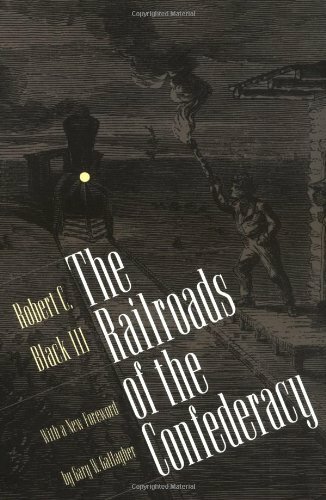 THE CONDITION OF THE SOUTHERN RAILROADS AFFECTED BOTH THE CONFEDERACY AND THE UNION IN THIS WAR.DIFFERENT GUAGES OF TRACKS, WHETHER THE TRACKS RAN NORTH AND SOUTH OR EAST AND WEST WAS OF GREAT IMPORTANCE.THE ABILITY TO REPRODUCE CAPTURES OR DESTROYED ROLLING STOCK AND RAILS WAS A MAJOR FACTOR.IN THIS WORK BLACK ENLIGHTENS US TO THE PROBLEMS AND PROGRESS OF THE CONDEDERACY'S RAILROADS AND GIVES US A CLEAR PICTURE OF THEIR OPERATION AND MILITARY VALUE.A BOOK WELL WORTH READING. After reading dozens of scholarly books, and writing published articles related to the Civil War myself, this book was a refreshing read.It is a reminder of the enormity of the task faced by the bureaucrats andbusinessmen behind the Confederate armies.Yes, the tide did turn atGettysburg. But for those who like to play "What if?" andspeculate on the fortunes of war, this book is a bleak testimony to thelong odds the south confronted.The Confederate States were almostcompletely unequipped to fight a modern, industrial war. One shortcomingof this book, and it is a minor one, is that the story is told primarilythrough the eyes of railroad tycoons, and ignores to a great extent theperspective of well-known military personalities.This stems in part fromthe fact that Black relies heavily on the railroads themselves (theirannual reports) for his source material.More research from militarysource material would round the picture out. On the whole, however, Mr.Black must be commended.As I said, "fascinating." This was a fascinating book as it put the Civil War into a slightly different context.It spotlighted the fact that many of the the major battles were fought over areas which were strategic rail centers - the best example being Atlanta. It also clearly pointed out that the South was severely hampered by three different track gauges limiting the ready ability to carry freight long distances.In addition, even though the track gauges of a connecting railroad might have been the same, many of them were state owned.And some states would not permit rolling stock to cross state lines.This meant offloading and reloading freight at the state border. And the Southern railroads never came under a unified control until very late in the War - in contrast to the North.And the South only had about a third of the track miles that the North had. Not just a great collector's item, but a well written story that one can't put down.The pictures draw you in and the writing makes you want more from this author.Their is too little written on this region that boasts a terrific rail history.There's something indescribable that keeps you pulling the book out and looking at it again and again.